SAGITA COM - HeliosPaint sangat mudah untuk digunakan program cat dan mengedit foto, gambar dan ikon. Ini berjalan pada Microsoft Windows, Mac OS X, Linux dan Unix dan ditulis dalam bahasa pemrograman Java Sun Microsystem. 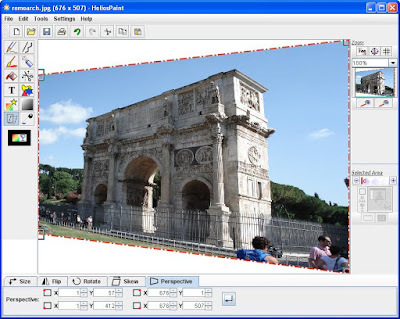 Image filters: RGB levels, HSB levels, contrast, gamma, invert, gray, black and white, colour filter, sharpen, blur, edge feathering, edge detection, oil painting effect, emboss, unsharp mask, chrome, sepia tone, threshold. Zoom in/out with optional zoom grid.